Former F1 driver Brendon Hartley has penned a heartfelt blog for The Players’ Tribune where he discusses his high and low moments from the 2018 season. 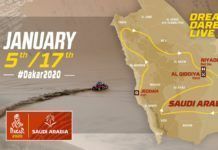 Brendon Hartley had a fairytale moment when he was called upon by Red Bull in 2017 to drive for Toro Rosso, years after the Kiwi was dropped from the programme, which forced him to switch to endurance and sportscar racing. Hartley started off slowly but got onto it with Porsche in the LMP1 category and became a two-time FIA World Endurance Championship champion and also won the prestigious Le Mans 24 Hours race, which raised Red Bull’s interest. 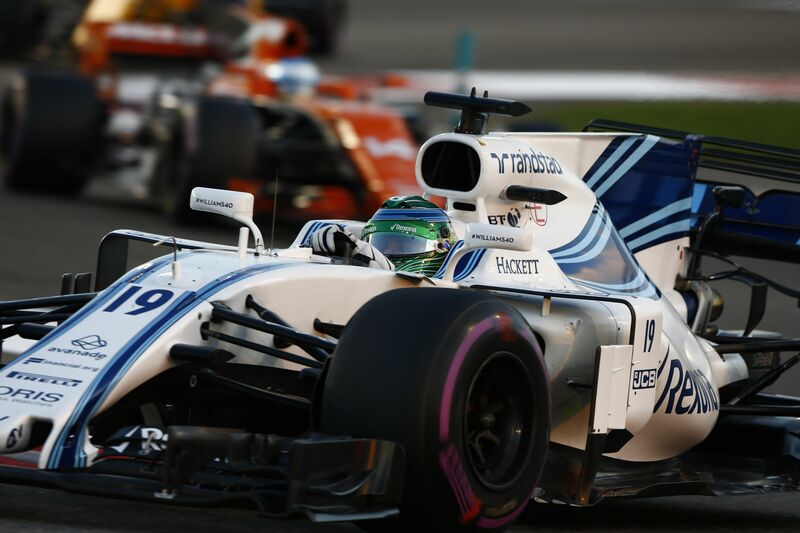 Eventually, Hartley made his F1 debut in 2017 US GP and was then signed up for a full-time drive in 2018 – his contract was for more than a year – but as he talks about the politics in F1, his time ended in Abu Dhabi, the last race of the 2018 season. 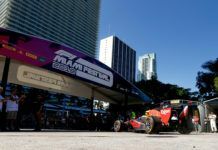 The Kiwi here reveals details of his Toro Rosso exit which could have happened after Monaco GP as he confirms the rumblings. Hartley looks back on his time as a F1 racer and how much he learnt in one whole year while racing against the best. “It’s kind of funny, or maybe it’s sad, but you never picture the end, right? When I was little, I dreamed about what it would be like to be a Formula One driver. I pictured myself in a red race suit like Jean Alesi. I imagined what the champagne would taste like. I sat on the floor in my room in Palmerston North, New Zealand, closed my eyes and went for laps around the streets of Monte Carlo. I never thought about the end. And now – at least for a while – it’s over. I’m not a Formula One driver any more. I’m not writing this hoping for sympathy, I just want to tell you some of the stories about one of the best years – and I truly mean that – of my life. I want to give you some insight into what a season in the car of your dreams is like. And I want to say some thanks. Because this journey, this sport – my life – is not a solo mission. I’m here, and have had the opportunities I had, because of all the wonderful people around me. I know that. And they’re as much a part of this story as I am. So before I tell you about almost losing my seat mid-season, driving under pressure like I had never faced before, and then the eventual end in Abu Dhabi, I’d like to tell you how the year started: with a wedding. So, yeah, my first full year in F1 was also my first year of marriage. It sounds like it might be a bit hectic, but I’ve been with my wife, Sarah, for 14 years now. (I originally said 12 but she’s sitting beside me and threw an elbow into my ribs; 14 years, 14 years.) And so we know each other pretty well, I’d say. We had a casual, but beautiful reception down on Waiheke Island. Everything about it was terrific. We followed that up with a few days mountain biking, which was dubbed as our honeymoon. Man, just thinking about it now; what a start to the year! First, married. Then, a few months later, the start of the F1 season in Melbourne, just a short flight from my hometown in New Zealand. The first race of the year is all about managing expectations. Our team, Toro Rosso, liked the way our car felt in pre-season testing, but Melbourne is about learning what you have – specifically what you really have. I knew we had a car that could score points, and I knew I was capable of getting us there. That’s why the beginning of the season was so frustrating. I know that at times I could have done a better job and there there were a few missed opportunities. 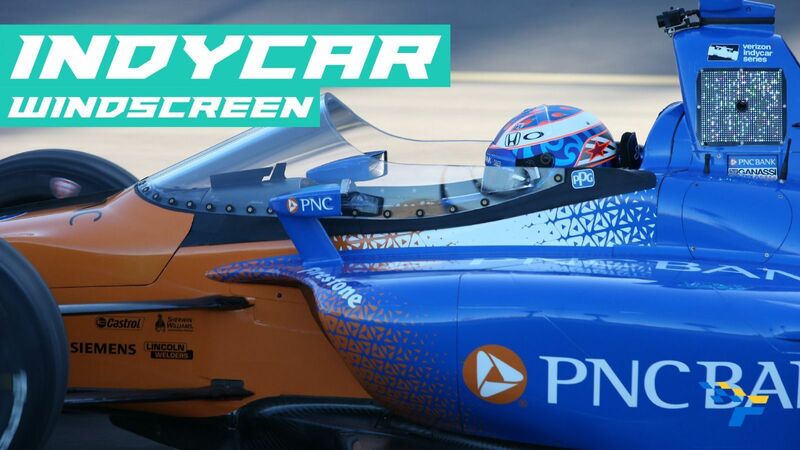 I could have used the fact that I’d been away from single seaters for seven years as an excuse, but regardless, the point is that it wasn’t the ideal start. I remained positive and focused on learning from every good – and not so good – situation we ran into. After the midway mark of the season I couldn’t help but think of my fellow Kiwi Chris Amon, who is often dubbed as the unluckiest driver in Formula 1 history. What is it about Kiwis in F1? 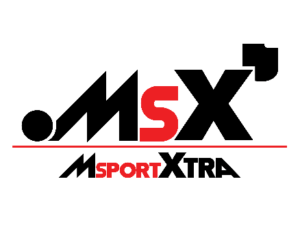 From hitting birds, being taken out on the first laps, engine penalties, suspension failures and other issues that weren’t always mentioned in public, it felt like I was going down the same path. Bahrain was my biggest missed opportunity, and a hard one to swallow as we had a such a competitive car that weekend (which was somewhat of a surprise at the time). I had the pace to comfortably finish well into the points, and my team mate, Pierre (Gasly), had a faultless weekend, taking his best result of the year. There wasn’t much between me and Pierre in qualifying. But I had contact with another car on the first lap, drawing a penalty, which removed a chance for a big points haul. I left Bahrain knowing I had missed an opportunity to score my first F1 points. And knowing I couldn’t afford to miss many of those. I knew I had to be better. The next month it was the Monaco Grand Prix – the race every driver looks forward to. Sarah and I actually have a good view of the circuit from our apartment and it’s always one of our favourite weekends of the year. But for me, it was tough, because when I look back now, what I will remember most about it is walking down to the paddock to meet with the media on the Wednesday before the weekend started, and receiving a bunch of questions about my future. Here I am, a handful of races into my F1 career, and I’m being asked about the end. The worst part of that day, though, was finding out there was some truth to the rumours. After a few races, there were some people, it appeared, who didn’t want me there. I’ll be honest, this was a bit of a shock. After entering F1 with a wealth of experience, two World Endurance championships, a win at Le Mans, and out qualifying my team mate two out of the first three races, it was hard to for me to believe that there was talk of my being replaced so early. That’s life in F1, though. The sport has so much money and so many people involved, it’s only natural that there are politics. If you’re a fan you know it, and if you’re a driver, you live it. I think it’s worth mentioning here that I always, always, had the support of my guys in the garage. The mechanics, engineers and everyone in Toro Rosso dedicate so much of their life working many hours to give the team and the driver the most competitive car they can, week in and week out. 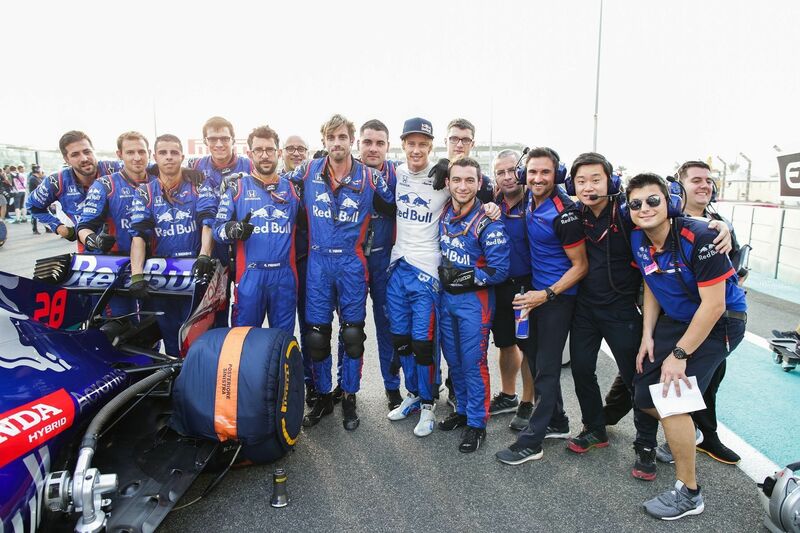 There’s more than 500 staff at Toro Rosso – so it’s no surprise F1 is very much a team sport. I walked back to our apartment that night looking at the walls of the Monte Carlo circuit, knowing that, if I binned it, if I made contact with those walls this weekend, my F1 career might end in a few days. I knew every practice session carried more weight for me. Every lap time, every result was going to be under scrutiny and could be used against me to leverage my seat. That’s a unique type of pressure that I hadn’t quite experienced before. But the way I responded, the way I put my head down and kept going – that’s one of the things I’m most proud of this season. I put in some quick sessions heading into the race, but on Sunday I was taken out from behind and ended with nothing to show for the weekend. When that happens, you’re sort of back at square one. There’s no time to pout, because the pressure’s intense. That’s the fascinating thing about the midfield battle in F1. There’s so much made of the title fight, but the teams in the middle, who are literally fighting for their jobs, their careers, that’s a different type of intensity, which is not always caught on camera. That looking-over-my-shoulder feeling didn’t really go away all year. But, that’s just how it is. 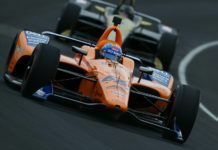 Every driver or athlete at a professional level must deal with pressure, and all will have their own way of handling it or even turning it into a positive. The pressure comes from all angles in F1 but the feeling of being under the microscope all the time, that was the one that I hadn’t dealt with to this extent before. It felt like if I farted in the car somebody would be writing or commenting on it. I did find myself hardening my approach, being more selfish with my time on race weekends, and caring much less about what was written or what others thought. I was there to do a job on race weekends, but reminding myself to enjoy it was something I did often. And believe me, there is a lot to enjoy inside an F1 car. When people do ask what’s the most impressive thing about F1, I normally mention qualifying. Of course, there are thousands of things I could mention, including the engineering and technology, but as a driver the sensation in qualifying is hard to put into words. 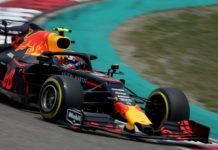 The 100-kg fuel tank is emptied to all but fumes as you cross the finish line, engine turned up to 11, aerodynamics and downforce settings maximised and sticky tyres that have one lap of pure performance. 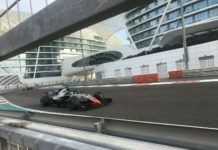 It takes a lifetime of preparing and honing your skills to put an F1 car close to – and sometimes over – its limits in qualifying. That’s the feeling I will never forget, and one I know I’m privileged to have in my memory bank. F1 cars broke most track records in 2018 and with constant regulation changes it’s possible F1 will never be as quick again. Another way I try to describe the forces to people is through load on the neck. We are pulling around 5 Gs every time we hit the brake pedal and yank on the steering wheel, that’s equivalent to about 35 kilograms of force on the head with each movement. It’s only the long straights that we get a chance to breathe, although there are gear changes and the thousands of potential setting changes (via buttons and rotaries on the steering wheel) to adjust, which fill that time up pretty quickly. When I think of a pure thrill, I think of quali in F1. One of the other things I’ll always remember, too, and want to share, is the support from the fans at every circuit and the support I received back home in New Zealand. I like to think I’m a pretty normal bloke from New Zealand, but times like the Japanese GP, with the thousands of loyal Honda fans, made you feel like a rockstar. I did always look for the Kiwi flags during the drivers’ parade. We may be a small nation on the other side of the world but you can find us all over, we get behind our own, and we tend to punch above our weight in most sports we chose to compete in. Thank you to every single person who supported me this past year. I mean it. Those memories – the ones full of the fans, my friends and team – they’re the ones I’m going to remember when I look back on this period of my life. Because they were all there with me when we had our successes, too. 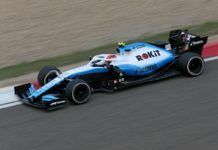 Scoring points in Azerbaijan, Germany, Austin and the sixth place in Suzuka qualifying – those were some of the key times when it did all come together. Through those times I had an even bigger smile and felt that, despite what was sometimes written, I deserved to be there and could get the elbows out with the world’s best. I felt I showed that more towards the end of season, when I drove with rising confidence and all the pieces of the puzzle came together more often. I was consistently performing at, or above, my team mate’s level. I had learned lessons from the start of the season, and I used the tough start to make me stronger. So, going into Abu Dhabi, I knew that no matter what happened after the race I would leave the circuit with my head held high. But, like the fans, I had no idea what was going to happen. That’s the thing about the politics in F1, it can be a little bit… awkward. Everyone sort of walks on eggshells, and there isn’t always clarity. So I just did all I could: my job. I out-qualified my team mate and drove to 12th on Sunday night. An hour later, I was summoned to a meeting. And a few minutes after that, I was no longer an F1 driver. I went back to my driver’s room, I hugged Sarah. There were some tears (Sarah is prone to the odd tear), some sadness, but also already looking to the future and the next steps. My friend Mark Webber entered the room a few minutes later. He knows a thing or two about the sport, I would always listen carefully to any advice he had to offer. My trainer Rich and good friend Joe were there with me too. It was nice to have some of the closest members of my team with me at that moment, I called the others who have also been a big part of my story later that evening. In the meeting there wasn’t much said. It was clear to me then that from as far back as Monaco there was a plan in motion to move me on. That was it. What I thought didn’t matter. So, after I left Sarah and my mates, I walked down to the garage and I told some of the guys that I wouldn’t be coming back. That was tough. These boys and girls had put so many hours of their life into the sport and the team and they don’t always get the praise they deserve, so often the focus goes towards the driver rather than the team overall. I was a proud member of Toro Rosso and Honda, and saying goodbye that day was one of the hardest things I’ve had to do. I did a few more rounds of the paddock, said my thanks and gave my appreciation to a few fans who had waited. It was all a bit surreal. I left the circuit feeling the same way I had when I entered it: proud. Proud of my friends and family. Proud of my team. Proud of myself. I will miss it. I’d be lying if I said otherwise. But I’m excited for whatever is next. As I write this I am working to put all the pieces into place for 2019 and beyond. I’m fortunate to have a few options in front of me, but I need make sure it’s a fit. I want something that will continue to challenge me, push me, and make me and those closest to me happy. The F1 door is definitely not closed and the experience gained from a year at the top of the sport means I will arrive more prepared and stronger for whatever opportunities come next. And with that, I’ll close this chapter for now.